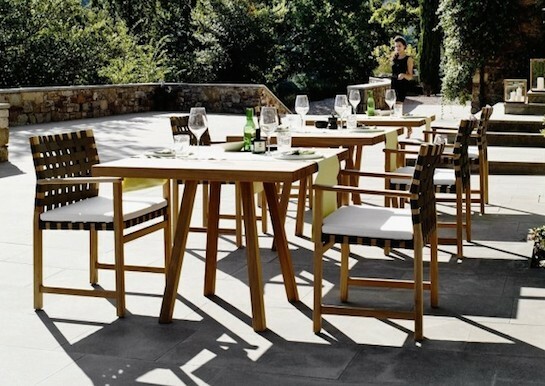 The Vis à Vis collection gives wooden outdoor furniture a new dimension. 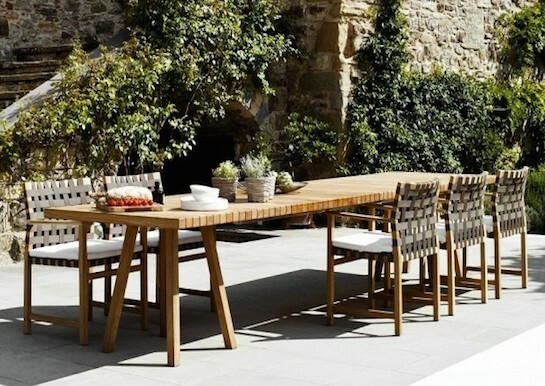 Teak is designer Piergiorgio Cazzaniga’s favourite outdoor material – it is natural, soft to touch and extremely durable. 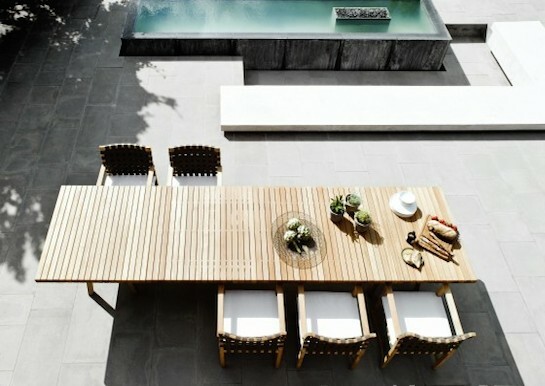 The dining table has the same square slats as the side table and can be ordered up to 7 meters long! 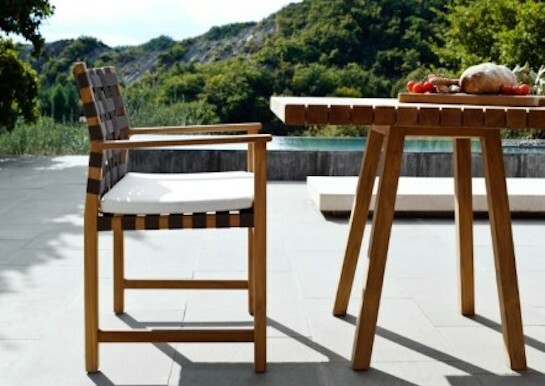 The dining armchairs are upholstered with an airy weave composed of PVC and natural hemp.